The Golden Residency Permit or Portuguese Golden Visa was launched by the Portuguese government in order to attract foreign investment into Portugal and in exchange, offer permanent residency to investors and their families. Investors have the option of a property or business investment in Portugal to qualify for the Golden Residence Visa. The program is relatively straight-forward and ultimately allows the family to apply for permanent residency in Portugal. The Portuguese Golden Residence Permit or Golden Residence Visa, as it is commonly referred to, was launched by the Portuguese government in October 2012. The aim is to generate foreign investment through capital and real estate investments and in exchange offer investors the freedom and access that a Portuguese residency offers. Permanent residency in Portugal not only allows the investor and his family to live, work and study in Portugal, but also visa-free travel to the Schengen countries. Portugal is an attractive country, not only due its geographic location and as a popular tourist destination, but also for quality of life and easy access for investors and their families. The Golden Residence program requires foreign investors to either make an investment into real estate or one of the other investment options in order to qualify for Portuguese permanent residence. As the program was launched in 2012 it is not yet clear whether investors will achieve citizenship and investors should be cautious with their expectations. Portugal was one of the first countries to introduce the Euro. Evidence of ownership of a property purchased for a minimum of EUR 500 000 needs to be provided. A certificate issued by the Property Registry must be provided. Portugal has recently introduced an alternative where the prescribed investment requirement is EUR 350 000 subject to certain conditions. Capital investment of at least EUR 1 million in a Portuguese company. This can also include stocks and shares or a fund deposit into a Portuguese Bank. A certificate issued by the Commercial Registry must be provided and it must indicate that the applicant holds the stocks and shares. Evidence needs to be provided of the creation of 10 jobs and needs to be registered with the Social Security department. A contribution of at least EUR 500 000 into units in venture capital or investment funds for the benefit of small and medium size enterprises. A minimum investment of ate least EUR 350 000 into property located in urban regeneration areas or properties that were constructed more than 30 years ago. The property must be purchased with the intention of refurbishing it and the total of EUR 350 000 may include the refurbishing costs as well as the principal cost of the property. Requirements include physical stay of an average of 7 days per year as well as a language test. The initial permit is valid for 1 year after which it can be renewed for another 2 years, and again in year 3 for another 2 years. In order to renew the residency applicants must adhere to the minimum stay requirements. At the end of year 5 the applicant can apply for permanent residency and in year 6 each family member can apply for citizenship provided the requirements are met. There are several ways in which to attain Portuguese Citizenship; the simplest being for those who are descended from Portuguese parents or grandparents. Other ways include after six years of legal residency in Portugal, by birth in Portuguese territory, through marriage or civil union. The Portuguese Golden Residence Visa is a residency program and whilst one may apply for citizenship after 6 years there are no guarantees. As the program was launched in 2012, there is still a waiting period before the initial applicants will be able to complete the full program. At that stage there will also be more clarity on whether citizenship is achievable via this route. The Golden Residence Visa offers the investor and his/her family the right to live, study and work in Portugal. In addition, it allows the investor to spend a maximum of 90 out of every 180 days in any of the Schengen zone countries allowing freedom of travel and mobility in most of the EU. With both the Golden Residence Visa and PR, the applicant and his family can immediately travel visa free to all the Schengen countries. Please note that Portuguese residency does not give the right to live and work in Europe, only a Portuguese citizenship will give this freedom and access. With a Portuguese citizenship, the investor and his/her family can travel visa free to over 160 countries. The tax system in Portugal typically separates people who are residents and those who are classified as Non-Habitual Residents (NHR). Non-residents are taxed at 25% on Portuguese source based income (employment or self-employment). Rental income, capital gains and other forms of investment income is taxed at around 28%. Residents of Portugal are taxed at a progressive rate of up to 48% which is dependent on income levels. 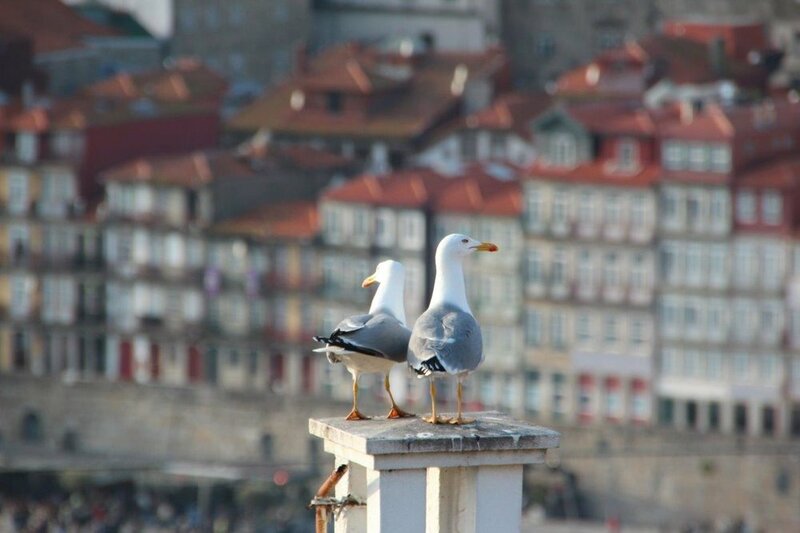 The NHR scheme is available to people who do not qualify as tax residents in Portugal based on certain conditions. Vat is 23% and the standard rate of corporate income tax is 25%. There is a 10-year tax incentive to investors. We are not tax advisors and highly encourage clients to meet with a professional tax consultant. In addition, professional fees will also be due. This will depend on the size of family and number of applicants as well as which lawyers you choose. Typically these range from EUR 16 000 - EUR 40 000 for the full 5 year period depending on the service provider. Portugal, officially the Republic of Portugal, is a sovereign nation state in Europe that lies on the Iberian Peninsular. It is the most western country of mainland Europe and is bordered by the Atlantic Ocean on its west side and Spain on its North and East. The Portuguese Republic holds Sovereignty over the Atlantic Archipelagos of Azores and Madeira, autonomous regions of Portugal. The Portuguese Empire was the longest lived of the Modern Colonial empires and its existence spanned almost 600 years. Shortly after the Portuguese Colonial War, democracy was restored following which independence was granted to Angola, Mozambique, Sao Tome and Principe, East Timor, Cape Verde and Guinea-Bissau. Portugal, despite the recession in 2008, has an advanced economy, high living standards, high quality infrastructure, ranked 2nd for quality of roads and 11th overall (Global Competitiveness Report). Portugal is a friendly country and welcomes visitors from all around the world.